In Brief: German language article about Beijing Hikers published in Süddeutsche Zeitung. 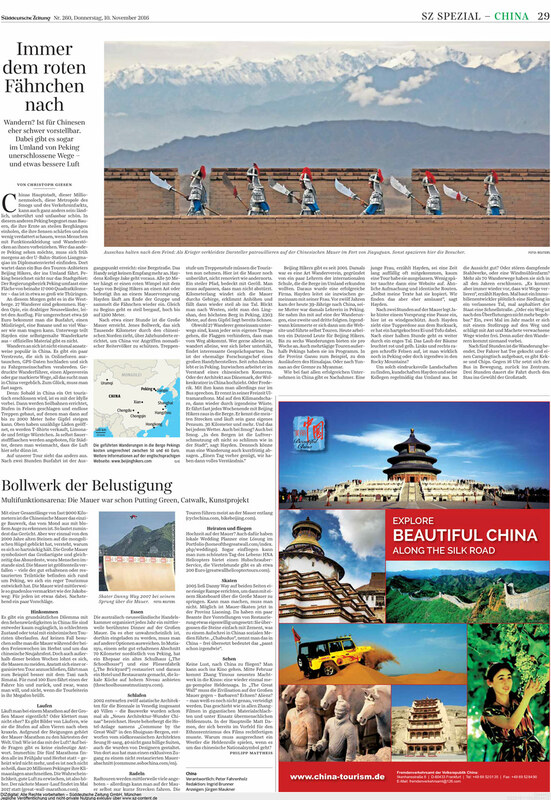 Hiking friends who read German might be interested in an article about Beijing Hikers, titled 'Follow the red flags' and published in Süddeutsche Zeitung, one of Germany’s biggest newspapers. See some scans below, download the PDF (1MB), or read the article on the Süddeutsche Zeitung website. Thanks to Christoph for the great write up!